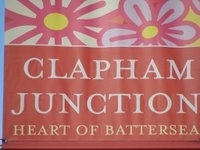 Battersea on the Map - see if you live here! The following map has been kindly provided by Wandsworth Borough Council to illustrate on a modern map the boundaries of the former Metroplitan Borough of Battersea and the present day Parliamentary Constituency of Battersea. 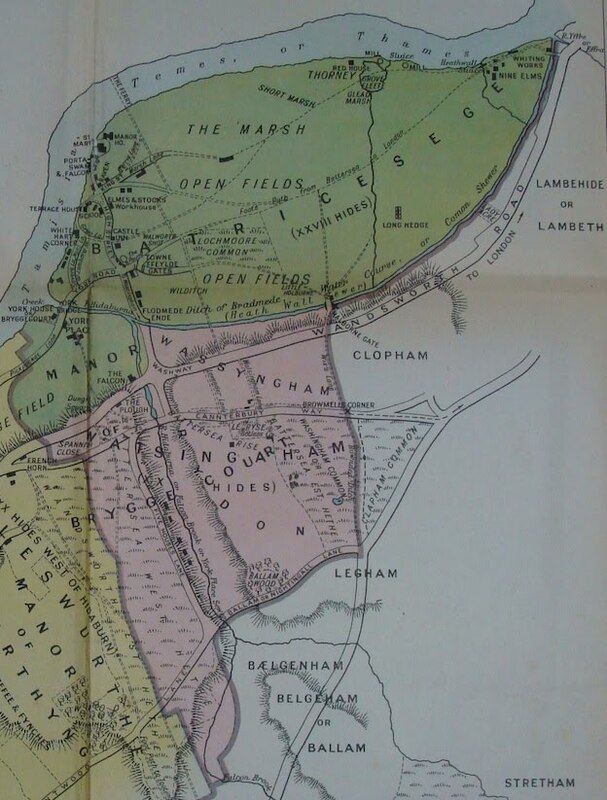 These boundaries are close to the old boundary of the ancient manor of Battersea and certainly reflect the old historic parish boundary of Battersea. - the Red dashed line marks the boundary of the London Metropolitan Borough of Battersea 1900-1965. 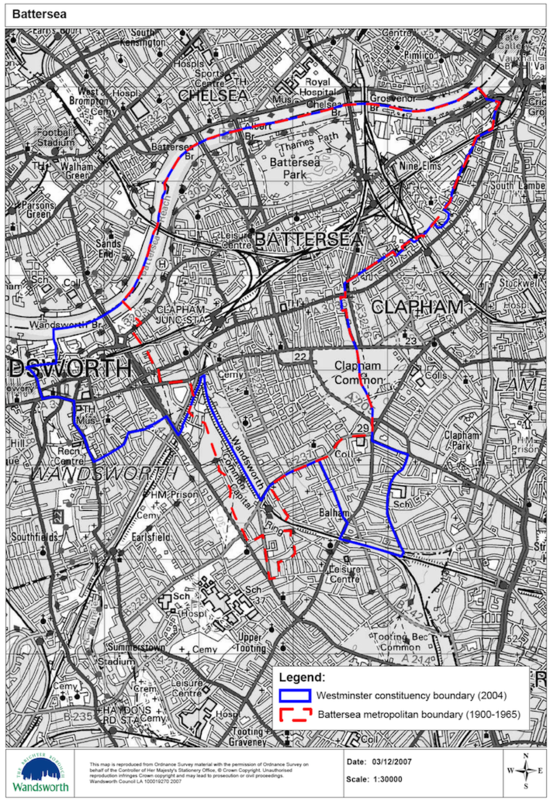 - the Blue line marks the boundary of the Parliamentary Constituency of Battersea 2004. Note: the attached pdf file provides an enlarged version of the map below for those who would like to see if they're lucky enough to live in Battersea! 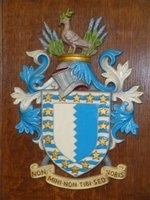 Below, we have also provided a section of the old map of the Manor of Battersea, which can be seen below the newer map.